Elegant and tremendously royal stays of Rajasthan gives the finest introduction of the regal lifestyle of legends and warriors of Rajputana kingdom. Distinct from its architectural beauty and glorious past, heritage hotels and palaces of Rajasthan offers the unbeatable luxurious stay in the state. There are endless options to stay in Rajasthan but we have enlisted best out of best heritage stays in Rajasthan which ensures your comfortable stay in the state. An ultimate extravaganza of Balsamand Lake Palace is the best escape in Rajasthan where you would surely love to stay in. Beautifully located in the vicinity of mesmerizing Bal Samand Lake, the palace owns the additional charm of this lake. 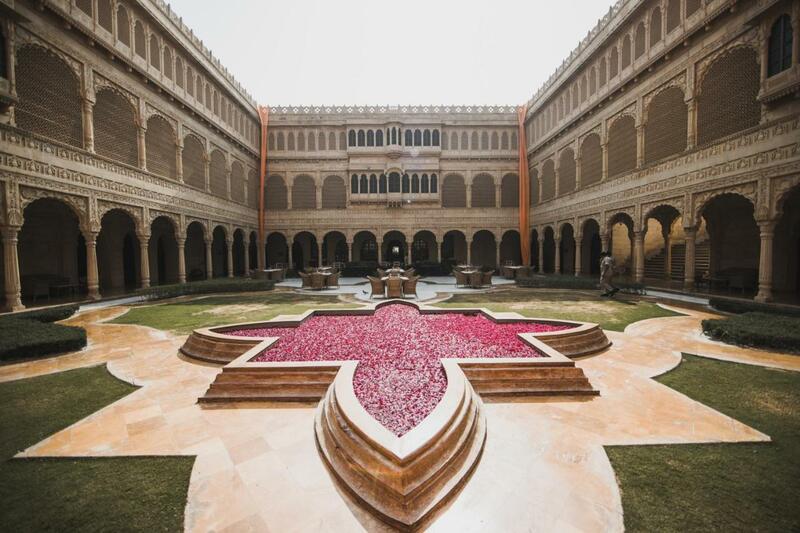 The entire palace is constructed with red sandstone that boasts up the Rajput architectural style and was visualize as summer escape of Jodhpur Maharajas. Apart from its luxury suites, the lake palace is featured with restaurant, croquet lawn, and rose garden. Oberoi group of hotels are the most popular and known for its luxurious stays all over the world. Jaipur allures major attention of tourists and visitors as most of Rajasthan tour Packages start from Jaipur. Oberoi Rajvilas is an imposing resort set in a spectacular 32 sections of land desert spring and encumbered with extraordinary bird species. The resort is additionally embellished with gold leaf frescoes, Mughal curves, precious stone ceiling fixtures, and high domed roofs. Looking for the best royal retreat in Jaisalmer then Suryagarh Haveli is an option for you. Suryagarh Haveli is well-known for its traditional and ancient craft; the haveli is beautifully featured in the grand Rajasthani architecture. This haveli serves both international as well as Indian dishes to its guests. The luxury rooms of this haveli are well-furnished with elaborated dark wood flooring, traditional handcrafted furnishings, and heritage pieces of art. Apart from being the home of rarest Brahma Temple and camel fair, Pushkar is also known for its mesmerizing beauty and desert. The town is blessed with a serene and tranquil aura that brings peace to mind and soul which can be the best experience in Lohana Resort. 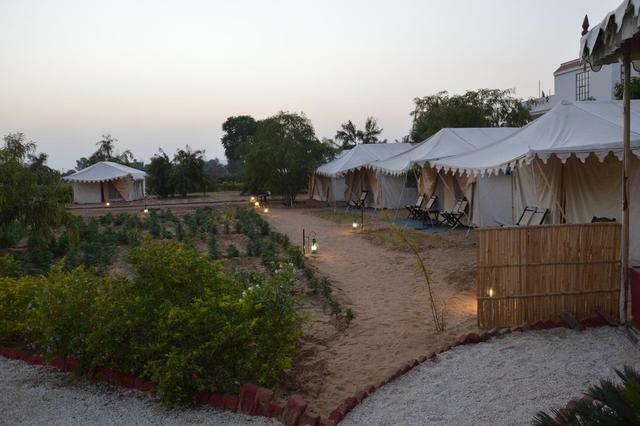 Serving the best luxurious services to its guests including the facility of Luxury Cottage accommodation, Luxury Tented Accommodation, campfire, etc Lohana Resort would surely enhance your travel experience in Pushkar and make it the most memorable one of your life. The most illustrious city Udaipur is known for its exclusive range of best luxurious stays and heritage hotels and out of which Taj Lake Palace is the best one. Introducing the elegance and royal lifestyle in its best way, Taj Lake Palace ensures comfy and lavishness to its guests. The magnificent palace has 66 luxurious rooms and 17 grand suites. The royal spa at Jiva spa of this palace is the best thing to get pampered. The home of a most illustrious wildlife reserve in Rajasthan, Ranthambore is also known for its luxury resorts and hotels. The Oberoi Vanyavilas is the one which is known for its royal charm and beauty. The resort is sprawled across the land of 20 acres including lush greenery, decorated gardens, local plants, and migrating birds. Booking accommodation is a major issue of every travel enthusiast but now in Rajasthan, you can just enroll yourself in these 7 most illustrious stays in Rajasthan without having a second thought in your mind. Jaipur, Jaisalmer, Jodhpur, Udaipur, Pushkar, and Ranthambore are the most beautiful destinations of Rajasthan which are always a part of Rajasthan travel itinerary. So, while booking the best place to stay in these places you must have a look at the above-mentioned 6 most illustrious stays in Rajasthan. The rugged roads, panoramic landscapes, ancient monasteries Spiti is blemished with an abundance of natural and serene beauty. One can enjoy trekking, river rafting, bike rides, and camping in Spiti. It is a perfect escape for travel enthusiasts and nature lovers. Pin Valley National Park, Lahaul Valley, Komick Village, Trilokinath temple are some of the best places to visit in Spiti. Putting a step closure to nature, Mcleodganj is the most popular places to visit in India which is ideal for traveling in a group or solo. It is situated in the foothills of Himalayas; Mcleodganj forms the rarest combination of adventure paradise and peaceful heaven. 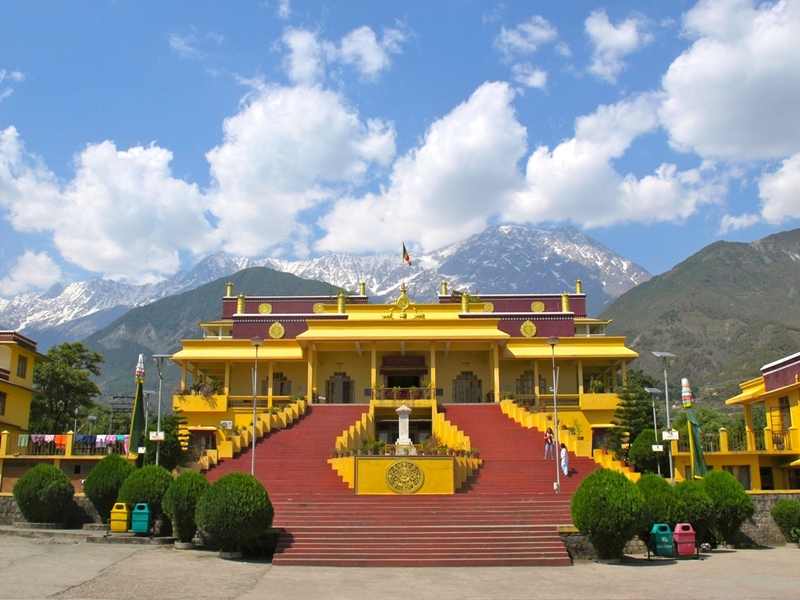 Namgyal monastery, Bhagsu Nag temple, Tibetan museum, Dal Lake, etc are some of the best places to visit in Mcleodganj. 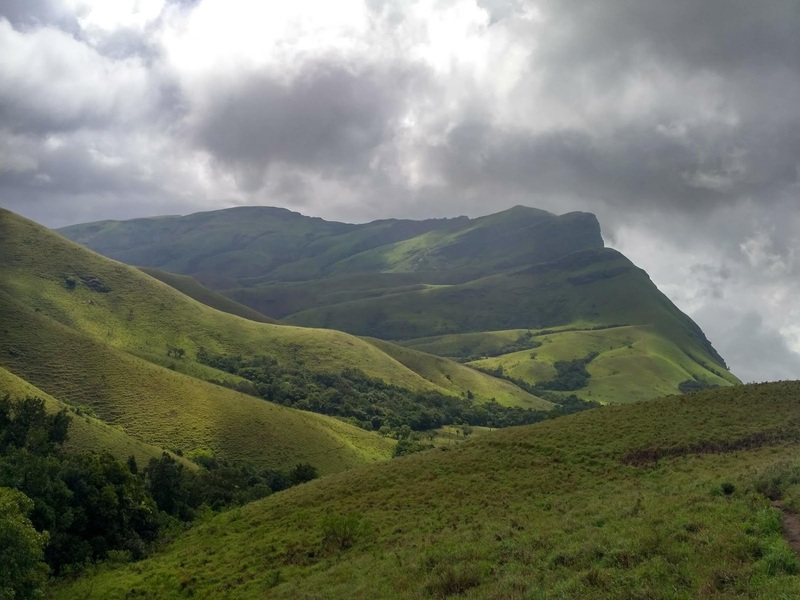 The hill region in Chikmagalur district of Karnataka, Kundermukh is popular for its splendid views of grassland and stunning paddock. It is a complete paradise for trekkers. The glorious peak sits proudly in the lap of the surrounding hills and is a must visit place in India. The major attractions of Kundermukh are Gangamoola, Kalasa, Hanuman Gundi falls, and Kundermukh peak. Featured with the magnificent views of lush greenery and valleys, Mahabaleshwar is widely known as the Queen of hills of central India. 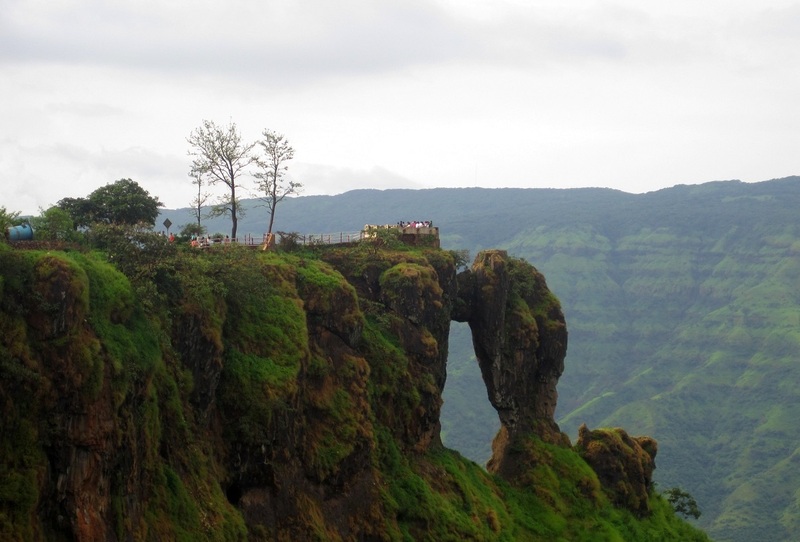 It is the most touristic destination in Maharashtra. Vienna Lake, Mapro garden, Tapola, Lingamala falls, etc are some of the best places to visit in Mahabaleshwar. Enjoy the mesmerizing sunrise at Wilson Point in Mahabaleshwar. 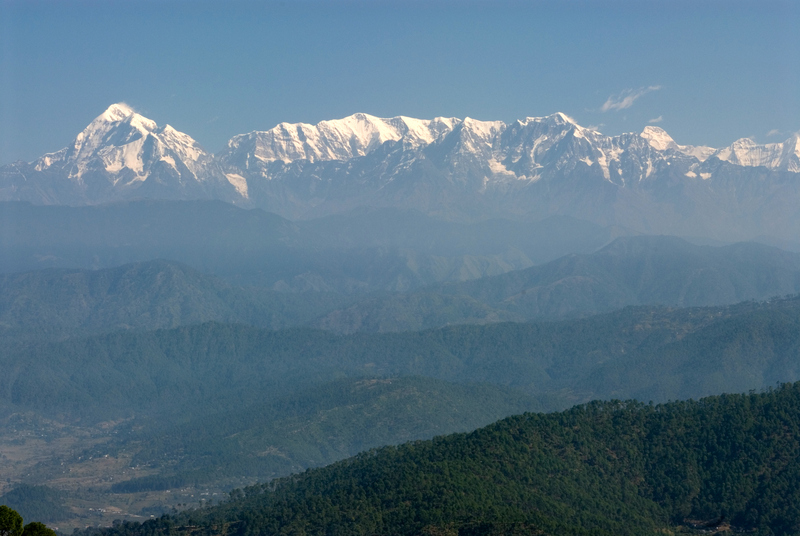 Perched at the height of about 1800 meters above the sea level, Kausani is located in Uttarakhand offering the panoramic views of Nanda Devi hills and Trisul. The mystical sunrise and sunset over the hill take away the heart and soul of its admirer. Rudradhari falls & caves, Gandhi Ashram, Anasakti Ashram, are some of the best places to visit in Kausani. An awesome coastline stretch about 600 kilometers in Kerala boost up the alluring beauty of the state. One of the best places in India, Kerala draws major attention of tourists towards its natural beauty. Kerala is an assortment of nature, mountains, backwaters, wildlife, beaches, palm trees, etc. Munnar, Thekkady, Periyar national park, Kochi fort, Kovalam beaches are some of the most popular attractions of Kerala. The incomparable beauty of Kashmir is the beautiful spot for all those who want to encounter with heaven on earth. The destination will surely leave you amazed and awe-inspiring for sure even make you fall in love with nature. Srinagar, Gulmarg, and Leh are the most popular places to visit in Kashmir. A trip is Kashmir is often said as a complete delight. Since you are done with almost all the required information and now it is the time to explore the country. Plan your summer holidays in the country by booking the best India tour package and spend the best time in India. A dreamy destination, Ladakh is a hill wrap set an appealing contrast to the blue skies and lakes. Ladakh is famous for its popular Buddhist Monasteries of India that adds a vibrant hue to the peninsula. It is an ultimate getaway for friends as the town is bounded with the utmost beauty and natural ambiance. Nestled on the lap of Uttarakhand above the sea level, Nainital is the best place for a summer holiday in India. The magnificent hill station is often captured as a forestry valley located on a beautiful lake. Although the list of places to visit in Nainital is pretty long, the Naina Devi Temple and the Naini Lake attract the maximum number of visitors from all over the world. Khajjiar is a destination which is rightfully called the Switzerland of India. The town looks like a colorful saucer which is guarded by the dense forests of silver firs, oak, and devdar. A dreamy destination is a paradise of a small lake with lush green lands. Khajjiar is located near Dalhousie in order to appreciate its magical beauty you must choose a road trip to Khajjiar. It is a bulk of abandoned beauty which will surely make your tour a memorable one. Tawang is a destination where the summers give in to the beauty of nature that cools down the sun. A small town in Arunachal Pradesh is located on the northeastern part of the country. 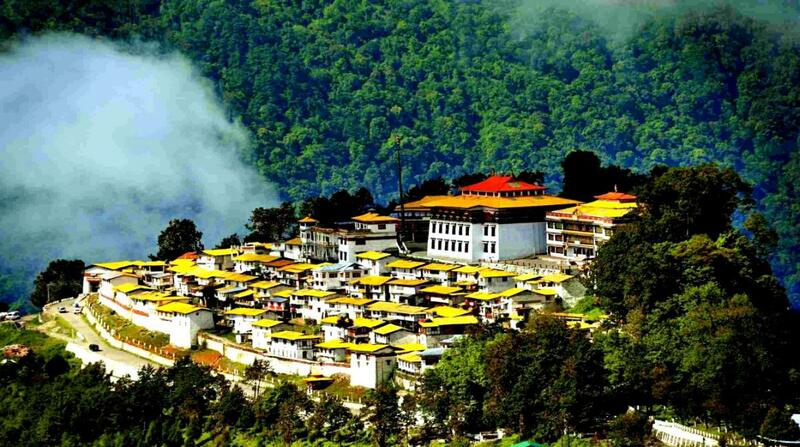 The destination imposes 14th-century Buddhist Monastery which has been the most popular pilgrimage center of Tawang. Ooty is also known as Udhgamandalam which is the capital city of Nilgiri district of South India. Ooty offers the paranormal views that soothe the eyes, mind, and soul. It is enclosed with manicured gardens, lush woodlands, shimmering lakes fringed with massive dams, and Nilgiri Mountain Railway tortuous through the hillocks that will surely leave your amazed. Aforesaid is the list of 5 best summer holiday destinations in India that ensures your memorable and fascinating trip in India. For a much-needed break, you can add the above-mentioned places in your bucket list to have a great vacation in India. So, plan your Summer Holidays in India and get an escape from the heat of the sun. One of the major festivals of India, Holi is widely celebrated throughout the country with zeal and enthusiasm. The festival brings a unique charm in the atmosphere. Holi is the festival of colors which is filled with fun and unique excitement that can be seen in the crowd. The festival is celebrated in the month of spring, a season of joy and hope in March and this year Holi is on 20th March and 21st March. It is for two-day celebration the first day is known as “Choti Holi” or “Holika Dahan” and the second day is of Holi celebration. The vibrancy of colors can be seen in the air that brings rejoice and positivity in the lives. Each and every estate of India celebrates Holi in a different way and follows unique rituals. Here are some types of Holi which are celebrated with zeal and enthusiasm in a particular region that you must experience in the Holi India Tour. Holi with sticks isn’t it interesting. In Barsana region of Uttar Pradesh, Holi is celebrated with sticks. Women beat the man with a stick to play a prank or follow the ritual. It is the weirdest way of celebrating Holi festival in Mathura. Catch the sniggering women taking sheer pleasure in playing Holi with a stick in Banaras and nearby areas of Uttar Pradesh. Lathmar Holi takes place in the week before the Holi festival. 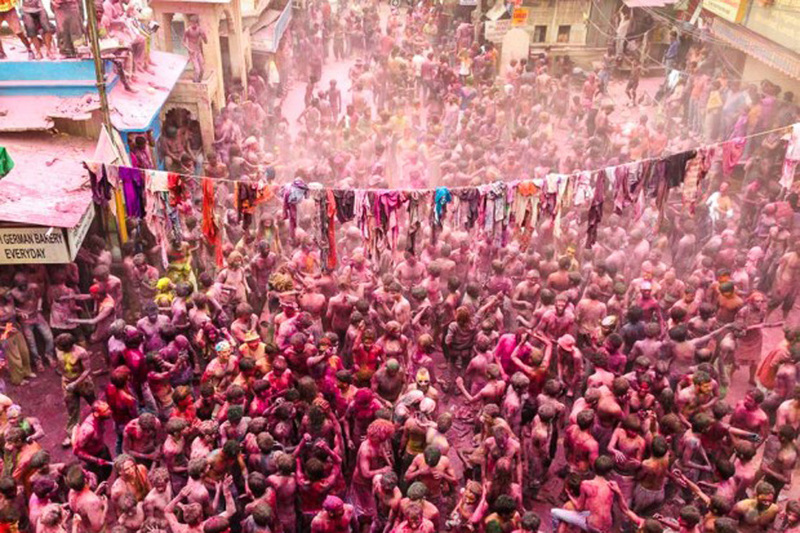 In 2019, the Lathmar Holi is celebrated on 15th March. 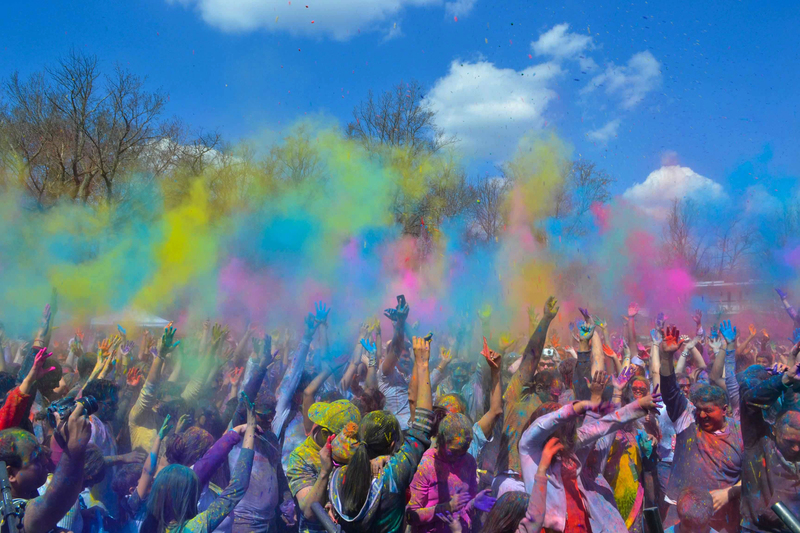 To experience the Lathmar Holi, Mathura and Vrindavan are the best places to enjoy the Holi festival in Uttar Pradesh. The Holi festival in Bengal is known as Shantiniketan Holi. The festival starts with the famous Bengali poet of Rabindranath Tagore, the legend introduce the Basant Utsav to revive the ancient tradition. Till now this tradition is widely followed in the entire state. Students dress up in the colorful attire and put on extravagance for the visitors. Celebrate Holi in Bengal and enjoy the cultural tradition of the region which brings happiness and joy in the crowd. The capital city of India, Delhi widely celebrates the festival with enthusiasm and zeal. People enjoy the music and dance while playing Holi. Lots of lip-smacking delights are made on the occasion of Holi in Delhi and other major parts of India. One can savor the unique Holi dishes like gujiya, bhang lassi, saffron rice, etc. Holy cow is the most happening attraction of festivals of Delhi. It is the festival where every music lover flocks in the festival of spring. Celebrate Holi with royals in Jaipur and enjoy the tradition of Holi festival in the capital city of Rajasthan. The holi events feature with Rajasthani folk dance and music performance. In Jaipur, you will be able to found elephants parades, tug of war competition between elephants, beauty contest of elephants. Holi brings extra fun and excitement among the crowd which includes locals as well as international visitors. On the eve of Choti Holi, a bonfire is conducted by the locals to which is known as Holika Dahan. 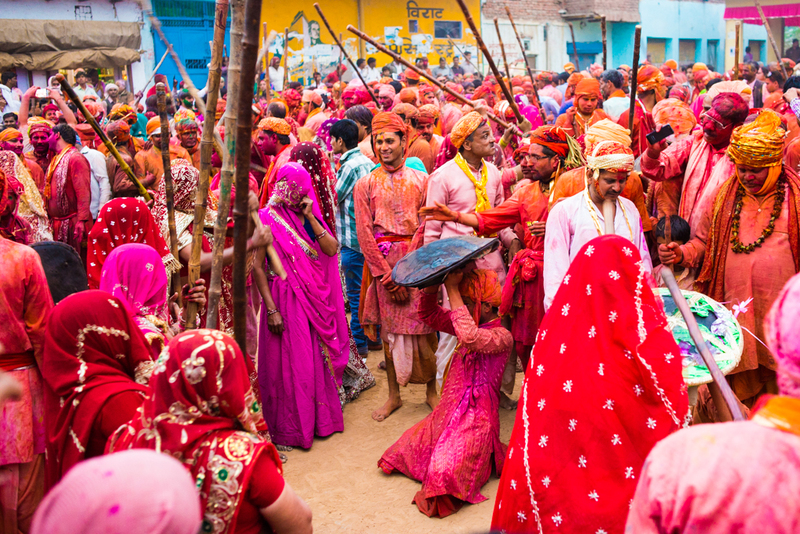 The Holi festival in Pushkar makes the aura full of joy and love. People gather from different places to get the glimpses of Holi celebration in Pushkar. Pushkar is a small city of Rajasthan which is well-known for its divinity and Pushkar fair. In this, men’s play crazy pranks with the other people and enjoy the festival with zeal and enthusiasm. These are some of the most popular Holi celebrations of India which are one of the must-experienced festivals of the country. You can plan your Holi Tour in India and enjoy the festival with locals. You can also savor the delicious taste of Holi cuisines which are specially made on this occasion. Get blend with the locals in Holi Tour Package and experience the vibrant cultures and traditions of this festival in different parts of the country. As mentioned above India was once an Island; to this note around 10 million years ago the land was a part of a supercontinent known as Gondwanaland. The island was 50 million years ago have a collision with Asia. Fossilized sea shells found in the mountains are evidence to it. More than 125 million English speakers are there in India, although the fact is that Hindi is the primary language of Indians. Other than Hindi and English, 5 other major languages widely spoken by 50 million people throughout the country are Marathi, Tamil, Bengali, Telugu, and Urdu. More than 300,000 mosques are there in India, which is perhaps more than the number of the Islamic worlds. India resides the second highest Muslim population. There are still royal families living in some parts of India and enjoying the royal lifestyle. Some of the royal families are The Mewar Dynasty of Rajasthan, The royal families of Alsisar, The Gaekwads of Baroda in Gujarat, etc. Every year Kumbh Mela in India has the world’s largest devout gathering which is listed in the UNESCO’s Representative list of Intangible Cultural Heritage of Humanity. The fair is observed to be rotating in four religious places that are Haridwar on Ganga river, Nashik on Godavari River, Ujjain on the Shipra River, and Prayag on the union of Ganga, Yamuna, and Saraswati River. Varanasi was one of the inhabited cities in the world, which is believed to be found in 5000 years ago by Lord Shiva. Located on the bank of Ganga River, Varanasi is also known as “the holy city of India”, “the City of Lights”, “the City of Temples”, “the city of Learning”, and “the religious capital of India”. India has the largest population of Royal Bengal Tigers. Located in Karnataka, Bandipur National Park has the highest number of tigers which is approximately 408, Uttarakhand with 340 tigers, and Madhya Pradesh with 308. Located in the nation’s capital, Khari Baori is the Asia’s largest wholesale spice market which you can explore in Golden Triangle India Tour. It is the most popular and searchable tour of India which is the best way to get introduced with countries richness. The iconic architecture of Taj Mahal is the finest example of Mughal’s architectural style. The monument is widely popular for its magnificent white-marble structure. Taj Mahal is located in Agra also the pride of the country and it is a major attraction of Delhi Agra Jaipur Tour Package. Rajasthan is the largest state of India and also known as the Land of Kings. Almost every city of Rajasthan is color coded like Jaipur is named as the Pink City of India, Jodhpur is the Blue City of India, Udaipur is the White City of India, Jhalawar is the Purple City of India, and Jaisalmer is the Golden City of India. All these cities are the most popular cities of Rajasthan Tour Package. India is a diverse country where one can enjoy some incredible experiences. The lush green hills, snow-capped mountains, imposing landscapes, picturesque beaches, rich heritage, old culture, still alive traditions, delicious multi-cuisines and so on. Everything is so delightful that you would love to stay here for a longer time. Do not pack extra luggage. In India, you can buy essentials. Thus try to keep that stuff which might be not available here like it might happen that the medicine prescribed to you might be not available in India. Thus, consult your doctor and carry medications and vaccinations with you. For clothes, you need not to worry. You can buy from here at fair prices. This will also get you an opportunity to try out the Indian wear. Still, if you have more luggage then do not worry, there are several shipping companies that can deliver your goods to India. Find out in which season you are traveling? Thus, things can be carried accordingly. For example, if you are traveling in winter which is no doubt the best time to explore India then you need to pack warmer clothes. On the other hand, if it is summers then keep cotton clothes. Because summers in India are too hot. In India, there is something for everyone. From 5-star luxury hotels to 3-star hotels and from the homestays to the hostels, there are ample options for you to stay. You need to plan according to your budget and travel needs. To experience the culture of India, we recommend staying at homestays so that you can stay connected with the locals and get a deep insight into their culture and traditions. On the other hand, if you want a luxurious stay then there are plenty of 5-star hotels who offer world-class features. You can relax and enjoy the indoor-outdoor activities as well. If you are exploring the Rajasthan tour packages then we suggest you can to stay at the heritage hotels where a true Indian heritage is reflected. There are numerous forts and palaces which were the residences of past rulers and now converted into the heritage hotels. One can feel like a king for a day if he stays here. The most important factor for international tourists is to stay healthy, then only they can enjoy the trips. Keep sanitizer all the time with you. Wash your hands multiple times when required. Do not drink the tap water, instead drink mineral water. Choose a hygienic restaurant for taking the meals. In India, spicy food is offered almost everywhere so if you cannot have spicy food then tell the waiter in advance while ordering food. Also, the street foods can be also spicy so avoid it. In India, it is suggested to avoid public transport since it is always crowded. You can rent a car in Delhi and travel hassle-free anywhere in India. 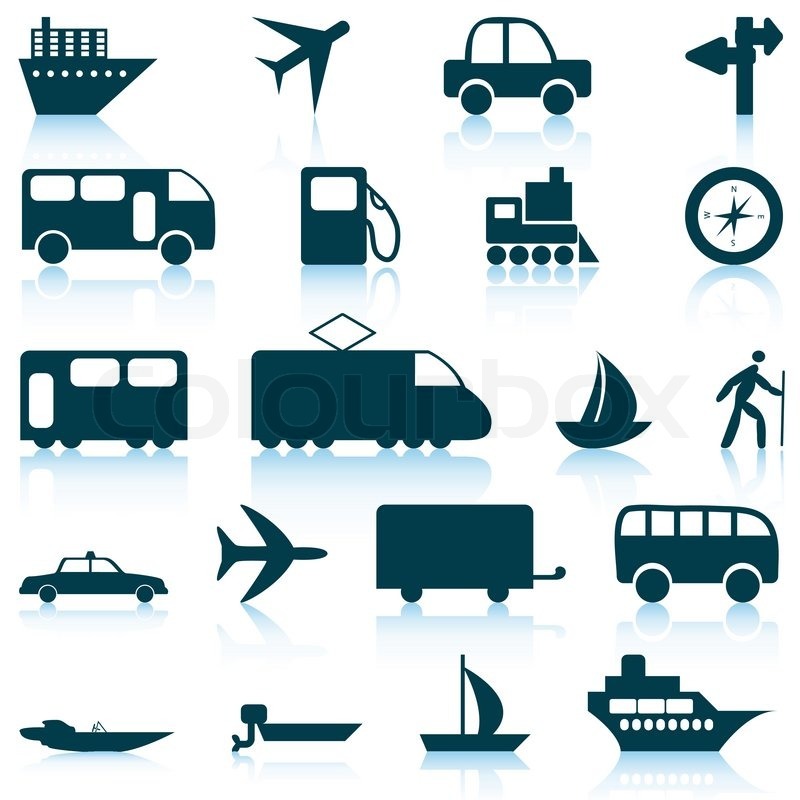 There are various options from luxury to economy so choose a car according to your budget and comfort level. Also, the traffic is insane here so avoid self-driving in India. Take care of your important documents like passport and cash. 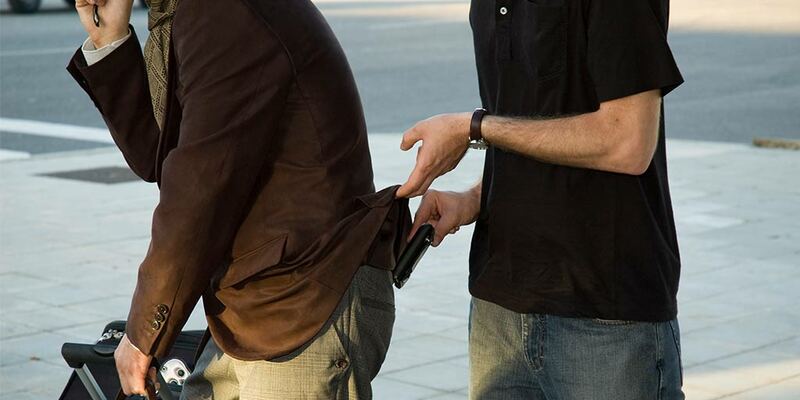 Suppose, you are on Taj Mahal holiday where there is a flock of tourists and locals then you need to be aware of pickpockets. While visiting the Taj Mahal with a huge crowd, wallets had been missed. 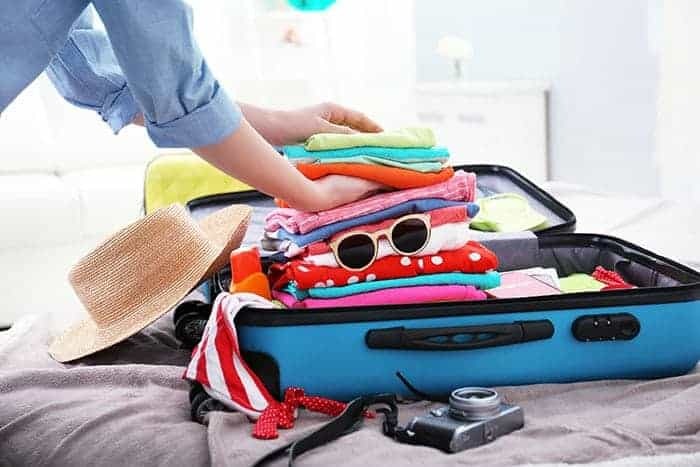 Thus, take care of belongings and keep the only required things during the sightseeing and keep the rest of the essentials in the hotel room. So, explore India and take care of the above travel tips to have a memorable and perfect trip. To enjoy the Taj Mahal holiday, visit Agra which is blessed with history, architecture, beauty and UNESCO world heritage sites. Agra is not only about exploring the Taj Mahal, but there is also a lot more to enjoy here. To capture the stunning shots, visit the Taj Mahal during the sunrise/sunset. Explore the Agra Fort, Tomb of Itmad-ud-dulah and relish your taste buds with the Mughlai dishes. February is an ideal time to spend the vacation as you can enjoy all the water sports and bask in the sun at the beaches during this time. If you don’t want to try out adventures, then party hard in the night and spend your vacation full of fun and enthusiasm. 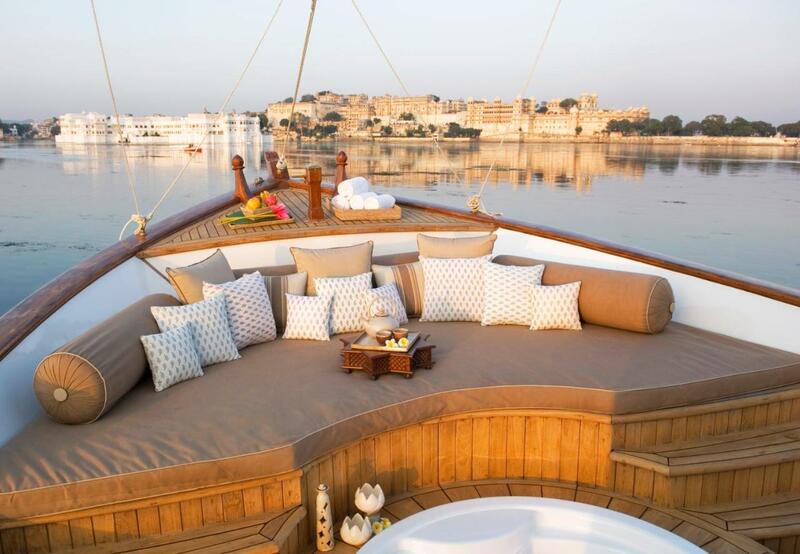 This Valentine’s day, spend a romantic evening on the lake Pichola while enjoying the boat ride. The best things to do here are exploring the palaces, temples and lakes, all at one place under Rajasthan tour packages. Udaipur is one of the most romantic places in India so to get a spark in the relationship, there could not be any place better than Udaipur to enjoy your Valentine’s Day. To feel the spiritualism, visit Varanasi, the holy city of India. Participate in the Aarti ceremony where you will be mesmerized to see the chanting mantras with ringing bells, making the atmosphere pious and spiritual all around. Enjoy the Boat Ride in the early morning at Assi Ghat. Visit the temples and spend some time at ghats. Experience an excursion to Sarnath to visit the museums and stupas. So, this February, plan your trip any of the above places and have fun that will never end. Rajasthan is a perfect destination for food lovers, history lovers, shopaholics, because the state is a home of magnificent forts, stunning palaces, alluring architectural design, warm hospitality, glorious history, traditional dresses, handicrafts, textiles, etc. Rajsathani delicacies are widely famous for the great taste of Rajasthani spices, its mouth-watering taste will surely satisfy your taste bud. The appetizing blend of flavours of the dishes will completely dissolve in your mouth within its first bite. Rajasthani dishes are inspired by the Royal Rajput Kings (mainly non-vegetarians) and majority of population is vegetarians, so you can get the both veg and non-veg dishes in Rajasthan. Here are some of the most popular Rajasthani dishes that you must try in 2019 during your Rajasthan Tour Packages. 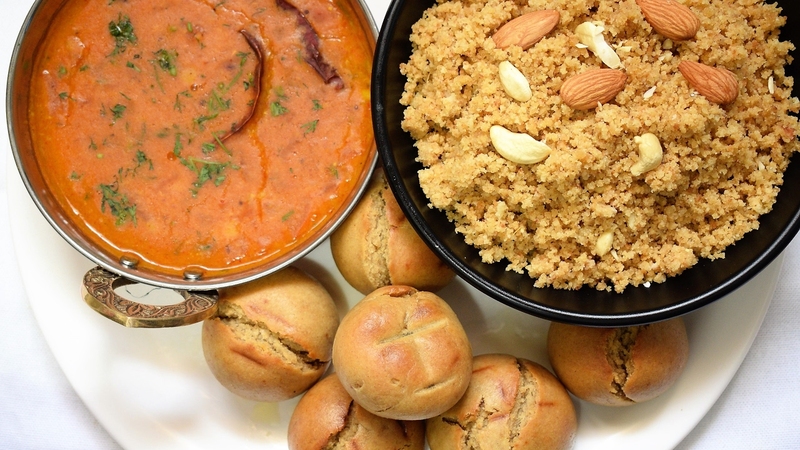 The most popular Rajasthani dish, Dal Baati Churma is a must try a dish of Rajasthan. A complete meal includes dal which is the perfect blend of flavors of spices served hot with baati and churma. To have a perfect taste, dip battis into the daal and relish the flavors of the dish. You can have the best taste of the dish in Jaipur at Chokhi Dhani Village resort. 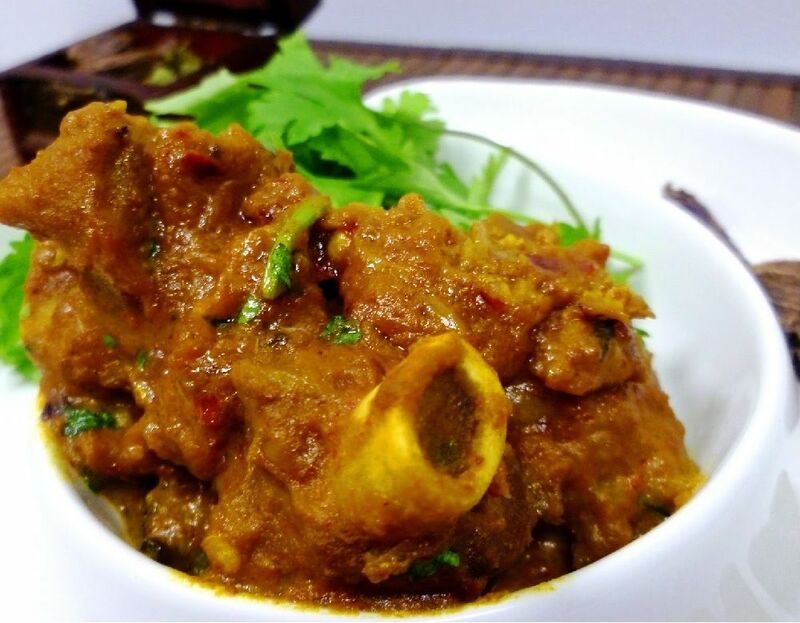 Red mutton is the most popular non-vegetarian dish of Rajasthan. The delicious and spicy laal maas is prepared in yogurt and hot spices which will surely leave you spellbound. Mutton is soaked in the tangy flavors along with ghee, adds the most wonderful taste to the dish. You can try this dish with the chapattis made of bajra, in a typical Rajasthani style. Another non-vegetarian dish of Rajasthan which includes meat, dry fruits, milk, and spices. The rich creamy gravy enhances the taste of meat and gives a unique flavor to the dish. Pair it up with parathas or steaming hot rice and savor the mouth-watering taste of Mohan Maas. Something delicious from vegetarians menu, Gatte ki sabji is one of the must-try delights of Rajasthan. Gatte ki sabji is made of the piquant curry of buttermilk and spices with gram flour dumplings, served hot in the plate along with chapattis gives the most delicious taste. It is one of the most popular dishes of Rajasthan which is loved by all. For snacks there are various dishes to taste in Rajasthan such as pyaaz kachori, dal kachori, samosa and many more. The sweet version of kachori is mawa kachori which is the best crispy snack of Rajasthan. Mawa Kachoris of Rawat Mishthan Bhandar, Jaipur is widely famous for its delicious mouth-watering taste. The most popular dessert of Jaipur, Ghewar gives the mouth-watering taste once entered into the mouth. This sweet dish is particularly associated with the popular Teej Festival of Rajasthan. 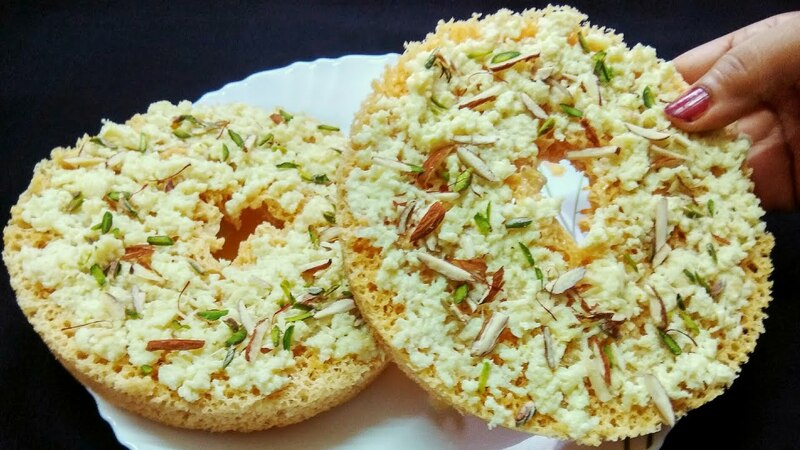 It is prepared with all-purpose flour which is soaked in sugar syrup, before serving it is decorated with dry fruits that give the delicious taste to it. Rajasthani delicacies will surely be pleased by every food lover. So, while discovering the wonderful landscape of the royal state in Rajasthan Tour Packages, you must try these mouth-watering delights of Rajasthan. Goa is one of the smallest and most beautiful states of India, situated adjacent to Maharashtra and Karnataka. Popular for its pristine beaches, the place is well known as a land of sun, sand and spices. Tourists even from abroad come here to bathe under the sun near clear sea waters. Other than beaches Goa offers a lot more, be it natural greenery and charming homestays amidst them, waterfalls, water sports, casinos, Konkani cuisine with a touch of Portuguese taste or some historical Churches and temples; Goa has something for everyone. One can reach Goa via air, rail or roadways. The state has its own airport, railway stations and bus stands. Some people prefer to explore Goa by booking Golden Triangle Tour with Goa where they visit Delhi, Agra and Jaipur along with Goa to discover the heritage of India along with beaches of Goa. It is a beautiful church built in baroque style of architecture. The Basilica is a protected monument and also included in UNESCO world heritage sites. It is the place where mortal remains of St. Francis Xavier are kept. Situated in Old Goa Bom Jesus Basilica is a must visit place for architecture lovers and devotees as well. Calangute is one of the most crowded beaches of Goa. The chaotic flea market of the beach offering variety materials to shop and the adventurous water sports at the beach attract tourists to Calangute. The water sports here include activities like paragliding and jet skiing which are enough to give adrenaline rush to any person. A beach of hippies, Anjuna is the most popular beach amongst foreigners. Not very much crowded, Anjuna is a rocky beach with unpredictable waves where tourists love to sit on the boulders and enjoy the huge waves. It is a 17-century Portuguese fort situated on Sinquerium Beach. 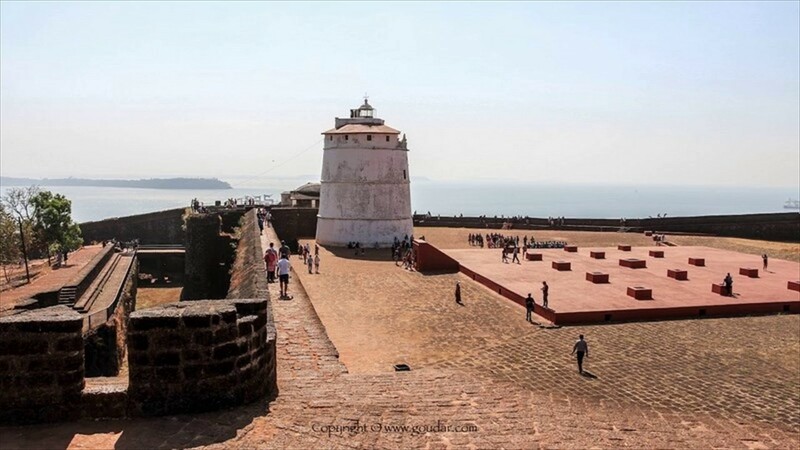 It is a well-preserved fort, a beautiful location to spend some time trying a hand on your photography skills with a lighthouse in background. In 17th century the fort was used for supplying fresh water to the ships sailing in Arabian sea. 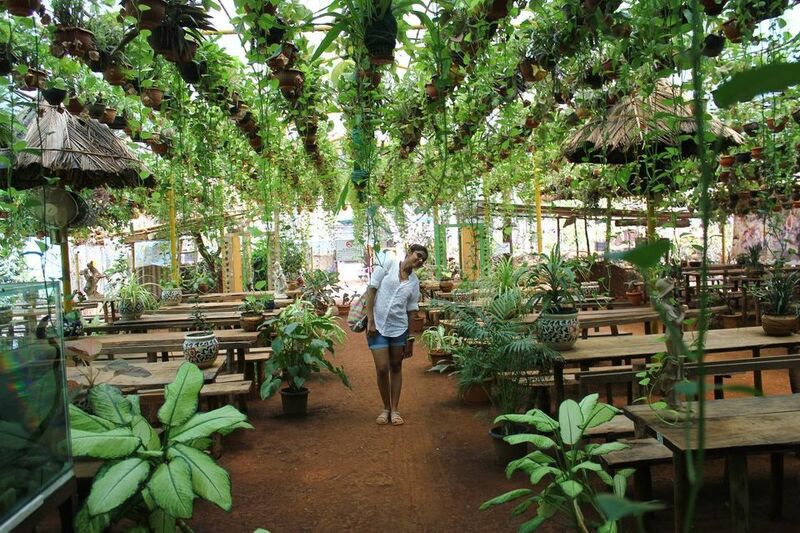 A place for nature lovers, spice garden provides tourists a insight of the garden where the spices like cardamom, clove, black pepper are grown in natural environment and with that they provide tasty local lunch, which is a must to try and gives an idea of the sumptuous Konkani flavours. Cruise ride is an amazing experience for the tourists; these cruises are organized on Mandovi River in evening in Panjim. The cruise ride also involves dinners at the cruise with some breathtaking regional dance performances coupled with groovy music where you will also get a chance to shake a leg with the performers. Spending an evening on the decks of the boat while enjoying serene beauty of river is an out of the world experience and that’s why tourists really look forward to this cruise ride. After exploring the principle destinations what you should definitely not miss while in Goa is the Dudhsagar Falls. It is a 4 tier gigantic waterfall situated 60 km away from Panjim-the capital of Goa state. Literally meaning flowing milk, the falls got this name as it looks milky white when flowing from the mountains of Western Ghats. One can even enjoy trekking here; Dudh Sagar is a must visit in monsoon when the water descends in full force. Before turning on your vacation mode go through the above blog which will definitely help you in planning your itinerary for Goa with the trip planner India. What are the top 10 places to visit in India? The diversified land of India offers its visitors to experience the charm of its enriched beauty which lies in its glamorous forts, palaces, museums, fairs, festivals, the distinct range of flora and fauna, natural and clean environment and many other features that makes the country known as Incredible India. India is bejeweled with the distinct culture and traditions of various religions. There are ample of languages which are widely spoken throughout the country. The country beholds a brilliant art and architectures of craftsmanship. The huge and diverse land of India cannot be explored at once, but to witness the best of India’s culture, tradition, and other, you can explore the top 10 places in India. Delhi – Delhi is the capital city of India which beholds one of the most popular architecture of a bygone era which showcases the excellent artwork of craftsmanship. Delhi is dotted with alluring heritage sites such as Red Fort, Qutub Minar, Jama Masjid, Lotus Temple, and Akshardham Temple. Agra – Agra is a city which lies on the bank of Yamuna River. It is a home of iconic architecture of Mughal’s that is Taj Mahal which was built by a renowned Mughal emperor Shah Jahan in the memory of his beloved wife Mumtaz Mahal. Apart from Taj Mahal, Agra is also dotted with the brilliant structure of Agra Fort and Tomb of Itimad-ud-Daulah. Jaipur – Jaipur the Pink City is the capital city of Rajasthan. Jaipur is blessed with the glorious history of maharajas who ruled the city in the bygone era. The city is dotted with alluring architectures which showcase the lifestyle of rulers of Jaipur at Amer Fort, Hawa Mahal, Jantar Mantar, City Palace, etc. Jaisalmer – Jaisalmer is a city which is located in the heart of Thar Desert and is also known as the Golden City because of its yellow sand dunes and yellow sandstone structures of forts and havelis that gives it a yellowish tinge to the city. The major attractions of Jaisalmer are Jaisalmer Fort, Sand Dunes, Havelis, and Gadisisar Lake. Udaipur – Udaipur is widely known as the Venice of the east because of its mesmerizing beauty and it is also known as the City of Lakes as it is an abode of beautiful artificial lakes. The major attractions of Udaipur are City Palace, Lake Pichola, Saheliyon ki Bari, Jag Mandir, Fateh Sagar Lake, Jagdish Temple, etc. Jodhpur – Jodhpur is also known as the blue city or sun city. The royal city was a center of power of the Mewar state which is bestowed with several forts, palaces, temples, etc. The major attractions of Jodhpur are Mehrangarh Fort, Ummaid Bhawan Palace, Jaswant Thada, and many others. Pushkar – The holy city Pushkar is worldwide known for its annual camel fair. It is one of the most ancient cities of India. The major attractions of Pushkar are Camel Fair, Brahma Temple, Pushkar Lake, etc. Chittorgarh – Amongst the most ancient cities in Indian history, Chittorgarh was founded by the Maurya Dynasty. The Major attractions of Chittorgarh are Chittorgarh Fort, Vijay Stambha, Rana Kumbha’s Palace, etc. Sawai Madhopur – Sawai Madhopur district was founded by Maharaja Sawai Madho Singh. It is an abode of one of the most popular national park known as the Ranthambore National Park. The major attraction of Sawai Madhopur is the national park which is a home of distinct species of flora and fauna. Bundi – Another tourist destination in Rajasthan which you can explore in Rajasthan Tour Packages, Bundi which was once the native place of a tribe known as the Bunda Meena. The major attractions of Bundi are Nawal Sagar, Sukh Mahal, Dabhai Kund, Taragarh Fort, etc. You can explore Delhi, Agra, and Jaipur in the Golden Triangle Tour of India which is the most popular tour of India. Discover the diverse land of India with the best Golden Triangle Tour Package. Other than Delhi, Agra, Jaipur you can also add on these destinations in your tour.